It was at the turn of the 19th century that Napoleon led an expedition into Egypt, and while he did not succeed in his military objective, he was successful in stimulating a widespread European interest in long-ignored ancient paranoiac monuments. Although there was quite an attraction to Egyptian history, much of the appeal was in portable antiquities like those acquired by the scholars and artists who accompanied the Napoleonic forces. 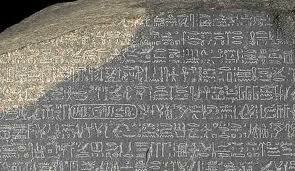 In 1799, French soldiers found the famed Rosetta Stone, the key to deciphering and translating Egyptian hieroglyphics, and the British forces who defeated Napoleon later confiscated it. Great numbers of objects of art and archaeological elements found their way to great museums of Europe, such as the Louvre and the British Museum and others in Italy and Prussia. By the middle of the century, the quantity of artifacts, statuary, wall reliefs and paintings that left the country was staggering. Auguste Mariette, a junior curator at the Louvre, came to Egypt in 1850. 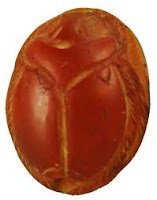 While his primary goal was to acquire artifacts for his museum, he was appointed as the director of the newly-established Egyptian Antiquities service or, more correctly, Service des Antiquités d’Egypte. Eventually, the European interest in antiquities shifted from wholesale collecting to scientific recording, and Mariette led the way. 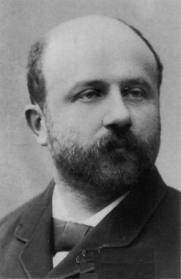 During his tenure at the position, Mariette monopolized Egyptian excavations. His successor, Gaston Maspero, encouraged foreign excavators to come with the system of the "firman;" an exclusive contract with the antiquities service to excavate a specific site. Thus began the golden age of Egyptology, during which time came many famed excavators, such as the Prussian Lepsius, Englishmen Flinders Petrie and Howard Carter (who is known for the fabulous find of the tomb of King Tuthankamen) and, of course, the greatest Egyptologist of this or any age, Professor Radcliffe Emerson and his wife Amelia Peabody Emerson. 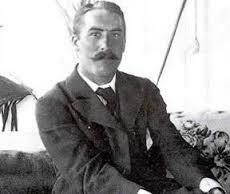 The chronicles of the Emersons, as recorded by Amelia Peabody and later written about by Elizabeth Peters, begin in 1884 when Radcliffe Emerson––who preferred to be known as plain Emerson––and his brother Walter came to the valley of the Nile to excavate at El Amarna. It was here that Amelia and Emerson met while trying to foil antiquities thieves, a job that was a passion for them and spiced up their life-long adventures. What do Mariette, Maspero, Eugene Grébaut, Jacques de Morgan, Pierre Lacau have in common? They were all heads of the Service des Antiquités d'Egypte and they were all the bane of Professor Emerson's existence. While Emerson considered himself a mild-tempered man, his sobriquet of "Father of Curses," as the native Egyptians knew him, better described his personality. If Emerson could have jumped forward 100 years or so into another century, he might find that he had some competition for the title of the greatest Egyptologist of all time. In 2002, Zahi Hawass, a famed Egyptian archeologist and then the head of the Service des Antiquités d'Egypte, began a restoration and conservation project of the Step Pyramid of Djoser at Saqqara, outside Cairo. But ever since the February 2011 revolution that deposed Hosni Mubarak, the tourist trade has dried to a slow trickle, all funds have evaporated and Hawass has lost his position. 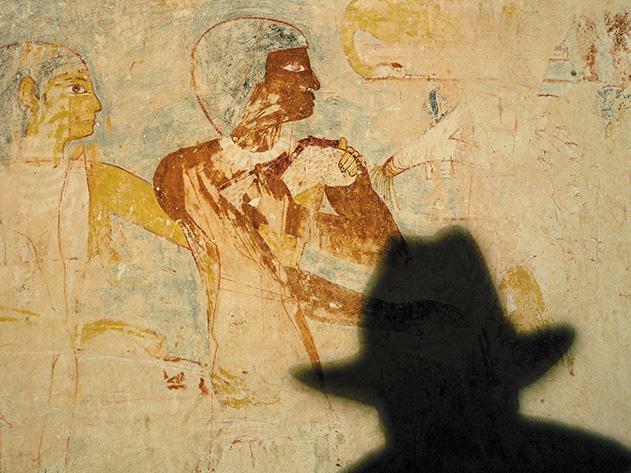 For 10 years, Zahi Hawass was the King of the Antiquities. He was a combination of scholar and Barnum and Bailey. He was a celebrated TV personality with a temper who, on the one hand, brought the world of Cleopatra, Tutankhamen and Osiris to rapt television audiences and hosted a reality TV series on the History Channel called Chasing Mummies: The Amazing Adventures of Zahi Hawass. He has also written best-selling books and lectured all over the world. On the other hand, he brought in funds that enabled the restoration and conservation of the deteriorating antiquities at Saqqara. He was a force in snatching Egyptology out of the hands of Westerners, who had dominated the field since the days of Napoleon, as he encouraged training and opportunities for young Egyptians to a degree never before seen. 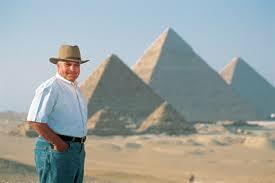 "Antiquities are collapsing in front of my eyes," says Hawass in an interview in Smithsonian Magazine. But critics claim that the sites restored by Hawass have been Disneyfied by the use of modern materials out of keeping with the original structures. Now in enforced retirement in Cairo Hawass still has plenty to keep him busy, but it remains to be seen if the Antiquities Service can survive without him. 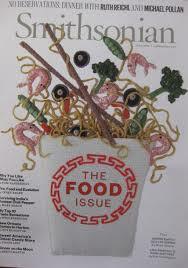 It may take his notoriety and fame to bring in the money needed by the Antiquities Service. I can just imagine Emerson rolling over in his grave. But it is really Amelia Peabody who has a thing for pyramids. She gets her wish in Lion in the Valley. When the Emersons get to Egypt for the 1895-96 season, accompanied by the indescribable Ramses, their son, they are excited because they have been given the firman for the Black Pyramid in Dahshoor, and its much-coveted burial chamber is theirs for the digging. But, as usual, the wind that swirls the hot sands sweeping through the bustling streets and marketplace of Cairo brings evil, and murder with it. Add to this the brazen moonlight abduction of Ramses, which only leads to more misfortune and death. Peabody expects to see her arch nemesis, the Master Criminal, at the root of their troubles. What she doesn't know until too late is what his real motives are. Nothing is more intriguing in the series than the character of Ramses Emerson. He was given the appellation because, as an infant, he was imperious and demanding. Later on, the nickname was deemed appropriate because his habitual expression fit his emotions admirably. Amelia once described Ramses as catastrophically precocious. By the time he was five, he could speak several languages, read Egyptian hieroglyphics and had survived so many calamities he was deemed to be a "brother of demons" by his Egyptian acquaintances. At age eight, during the excavation of the Black Pyramid, Ramses can be seen to be perhaps a little smarter than his parents, but not when he wants to learn about the facts of life. His take on the activities of reproduction is delightful. Elizabeth Peters tells her stories with a subtle humor that never fails to get a smile from me. She gently pokes fun at all of her characters. This element is best noticed when listening to the audiobook versions narrated by Barbara Rosenblatt. Her impressions of Peabody and Emerson bring a whole new dimension to the experience of these books. 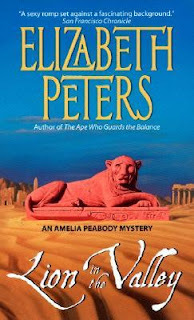 Peters intermingles the real characters of Egyptian history with the fictional in all the books of her Amelia Peabody series. 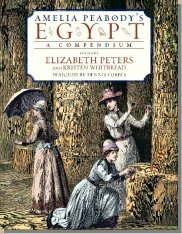 In Amelia Peabody's Egypt Compendium, the Egypt that entices the readers is brought to life as it was back at the turn of the century. 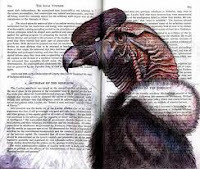 Hundreds of photos and illustrations give the reader a good visual of what the Emersons saw on a regular basis. Articles by experts in the field describe the prevalent attitudes on the empire, the fashions, the servants and more, much more. If you are a fan of the series, or if you are interested in Egyptology for other reasons, this book is worth reading. 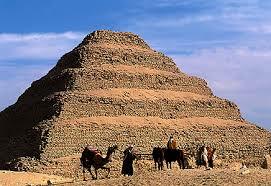 I believe seeing the pyramids of Egypt would be the experience of a lifetime. I wish I had made the trip long ago. But following the steps of the intrepid Amelia Peabody is as adventure in itself. Love this post! The Amelia Peabody series is in my "one of these days" stack. I inherited the entire series from my grandmother but haven't delved into them just yet. Lucky you, Becky! I delayed reading this series and was then completely charmed when I dove in. In many ways, this series is an incredible read for a beach towel. The first book, CROCOCILE ON THE SANDBANKS, has it all: the blazing Egyptian sands; swash-buckling action; the acerbic Amelia Peabody narration; and the great characters, including a Victorian-Age feminist, her hunky archaeologist husband, and their mischievous, brainiacal young son.